I have a shelf full of "the horse" and back street heroes mags I definitely want to build a old school chop have for years since my purple Raleigh chopper daze... 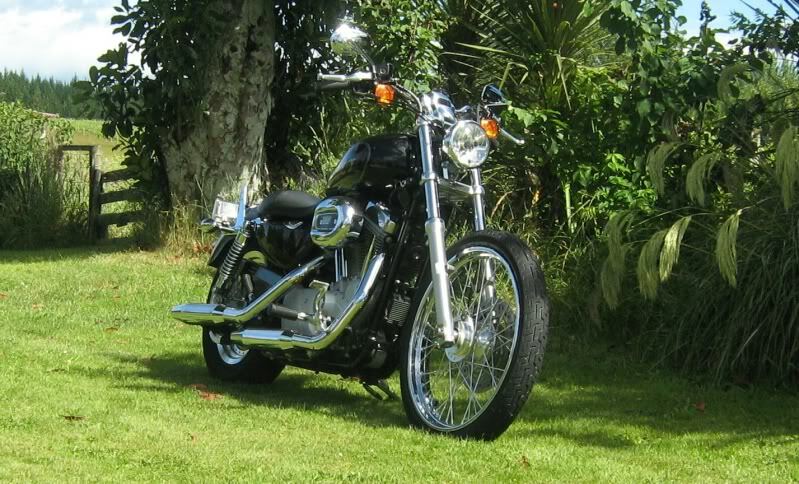 It would be kool to do a ride through to Taupo sometime meet up with some of you guys for a beer and checkout what the scene is like in NZ my mate in Christchurch has a Honda bobber built in his shed with basic tools well I will take your advice and enjoy my ride I have plans to make it less stock a seat and bit of striping and some whitewalls that sort of thing thanks again for inspiring me mate I shall keep in touch. trust mark and his friends will be joining us soon. 21" front wheel 16" rear the worlds your oyster, Make it your own dude. Thats exactly the same as Sara's old one when she got it. It is, however, now officially gay and I am using it to ride to work.